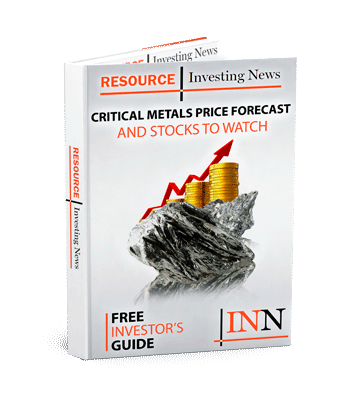 What’s the rare earths outlook for 2019? Here, analysts and CEOs share their thoughts on what’s ahead for the rare earths market. Of the 17 rare earth elements (REEs), some have proven rarer than others. Neodymium and praseodymium (NdPr), two metals instrumental to the rapidly expanding green energy and electric vehicle (EV) sectors, saw the greatest demand and price movement in 2018. Demand for the metals, which are used to make high-strength magnets for wind turbines and EV engines, is expected to grow as more EVs are manufactured and as clean-energy strategies are adopted. Increased demand has understandably raised interest in these metals, creating a number of significant developments in 2018. Those include a boost in production and exploration, output halts, REE recycling, potential tariffs and political tensions. At the end of 2017, there was speculation that NdPr prices would spike due to their ever-growing list of applications. However, 2018 didn’t bring the price increase that was projected. 2018 started steady for the sector. By March, Tesla’s (NASDAQ:TSLA) plan to switch to a magnetic motor that uses neodymium perked prices ahead of an expected incremental increase in demand. “The price of neodymium oxide was expected to follow a steady uptick over 2018, which continued until the end of the first quarter, but the price has declined back to end-2017 levels, down 5 percent year-to-date to approximately US$45 per kilogram as of end-November 2018,” pointed out Backeberg. By mid-year, concerns of supply disruptions began to materialize as China, the world’s largest producer of REEs, set up environmental protocols around the REE industry and crackdowns on illegal production. “Chinese control of the rare earths industry remains strong, with around 80 percent of production originating from Chinese-based operations in 2018,” said Backeberg. China wasn’t the only REE producer that had a bumpy year. Lynas (ASX:LYC), one of the largest rare earths companies outside of China, has encountered a variety of issues at its facilities in Malaysia. Most recently, shares of Lynas fell by 33 percent when the Malaysian government imposed new environmental regulations on the company ahead of its license renewal next year. But while some producers faced struggles, other REE companies were able to emerge. “With the growing demand for rare earth magnet materials, 2018 saw two new producers enter the supply chain, namely Rainbow Rare Earths (LSE:RBW) and Northern Minerals (ASX:NTU),” added Backeberg. That said, non-Asian REE companies are hoping that geopolitical uncertainty and the illegalities still evident in China will drive customers to their supply. For Australia-based Northern Minerals, 2018 was an important year as Chinese disruptions gave way to opportunity. Despite REE prices not gaining the anticipated traction, the company was still able to hit milestones. In addition to the Asian supply woes the REE market faced in 2018, the US also made news in the sector when the idea of adding rare earths to a list of heavily taxed and tariffed critical metals was floated. The inclusion, which ultimately did not come to pass, would have forced the US to seek out REE suppliers other than China, despite the Asian nation being the largest producer of the in-demand metals. Chinese control has created concern beyond the US administration, especially when late in the year the country announced it may reduce supply to meet only its own needs. “In 2018 and for the future, the most challenging aspect of the rare earth market is the uncertainty caused by China’s control over the majority of mining, processing and downstream aspects of the rare earth supply chain,” said Donald Bubar, president and CEO of Avalon Advanced Materials (TSX:AVL). Bubar, whose company has various projects, thought the REE story for 2018 would be more about applications and less about precarious supply. “Towards the end of 2017 we expected the euphoria which had led to forecasted increases in demand for lithium, cobalt, graphite and other metals related to the growth of EVs to have the same impact on rare earths during 2018,” said Bubar. The REE market will need to find innovative ways to build supply as more automotive makers switch from traditional gas-centric vehicles to EVs. As Avalon’s Bubar said, the sector is facing three questions. Similar to other metals used in batteries, REEs are seen as deserving of the spotlight due to their many current and potential applications. “Getting investor attention to the requirement of magnet metals in EVs,” is one thing Medallion Resources (TSXV:MDL) CEO and Director Don Lay sees as being beneficial to the sector. One development that will increase global supply is the REE recycling sector, which made strides in 2018. Quebec’s GeoMegA Resources (TSXV:GMA) is one company that is committed to end-of-life magnet recycling. The Investing News Network caught up with CEO Kiril Mugerman earlier this year, and he explained the process involved in breaking down old magnets. However, he remains optimistic that there is nowhere to go but up from here. “We think REE prices have hit bottom, which makes end users very happy as they can expand applications and demand grows,” he noted. There is a lot of positive speculation that 2019 will be the year for REEs to shine. “The demand outlook for rare earths is very positive, with the electrification of transport systems being a government-driven agenda globally, but this will take another year or two before it translates to a serious surge in demand,” said John Mair, managing director at Greenland Minerals (ASX:GGG). Mair expects 2019 to be a catalyst year for a rapidly evolving sector. “I see 2019 being more positive for the resources sector as a whole, and the rare earth sector is one of the few areas that is really well positioned to surge positively owing to a strong demand outlook and constrained supply,” he said. This perspective was reinforced by Commerce Resources (TSXV:CCE) CEO and Director Chris Grove. Advancement of the company’s Ashram project in Northern Quebec has been a win for the explorer. “[T]he most important milestone for our company was the successful work done at the University of Laval producing a mixed REE oxide concentrate with an optimized flow sheet for our Ashram REE deposit, financed by a grant from the Quebec government. The share price was not affected significantly though,” added Grove. Canadian REE developer Medallion was also able to significantly advance its project. “The most important milestone was completing our last set of metallurgical tests with a North American feedstock supplier, producing a concentrate sample and delivering it to Rare Earth Salts, our refining partner — thereby demonstrating a complete North American rare earth value chain,” said Lay. For Australia-focused companies, 2018 was also marked with achievements. Northern Minerals officially opened the Browns Range heavy rare earth project in the East Kimberley region of Western Australia. Meanwhile, Greenland Minerals worked to advance its Kvanefjeld project. “We made some very positive strides with project optimization that should see some significant reductions in both capital and operating costs in 2019, and that should see the Kvanefjeld project positioned as a dominant future producer at the bottom of the cost curve,” explained Mair. Figure: Proportion consumption of rare earths lanthanum through dysprosium. Source: Roskill. Roskill’s Backeberg also sees 2019 as an influential year for the sector, especially if EVs are able to grow the market significantly. In fact, if EV and hybrid EV growth hits the 20-percent-per-year growth mark forecast by Roskill, there will be a simultaneous 5-percent-per-year uptick in demand for REEs. “The key growth area for the rare earths industry is the use of permanent magnets in the drivetrains of EVs,” said Backeberg. Editorial Disclosure: Medallion Resources is a client of the Investing News Network. This article is not paid-for content.